UNPO: Taiwan: Does China Plan to Take Over the State? 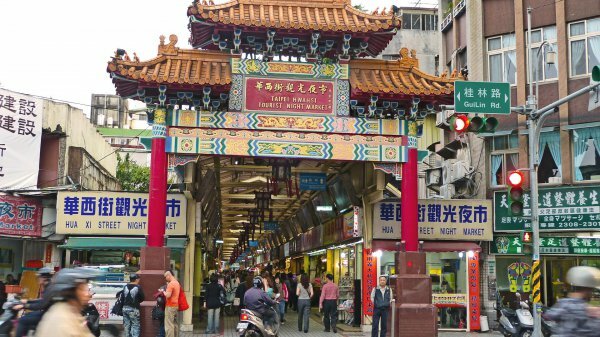 Taiwan: Does China Plan to Take Over the State? On 3 January 2018, Xi Jinping threatened Taiwan by convening a military mobilisation meeting during which he ordered to the Chinese military to become “battle ready”. A Chinese analyst even affirms that the People’s Republic is aiming to start an invasion of the de facto State, which does not recognise itself to be part of China. Further developments are expected in the upcoming months. Meanwhile, the international community questions whether China is really interested in taking over the State of Taiwan, with contradictory views between Chinese and US experts. Chinese air force fighters have begun escorting bombers around Taiwan in “encirclement drills” and spokesmen for the Communist government have warned Taiwan to get used to it. On Wednesday [3 January 2018], China’s president Xi Jinping, dressed in military fatigues, convened a military mobilization meeting — the first ever for the entire Chinese armed forces and commanded China’s military to become “battle ready.” Chinese officials are threatening that relations with Taiwan will turn “grave” because Taiwan’s government refuses to acknowledge that the island is part of China. A leading Chinese analyst predicts that China has accelerated its timetable to 2020 for taking over the island by military means. The ratcheting up of tension across the Taiwan Strait is a reminder that the island democracy, which Beijing claims is a province of China, remains a center of gravity in East Asia. But it also raises a question: can China really take over Taiwan? For years, most analysts in the United States generally accepted the idea that Taiwan’s status as a de facto independent democracy was unsustainable as China’s economy and military rose to dominate Asia. Statesmen such as the late Singaporean leader Lee Kuan Yew and Henry Kissinger both predicted that Taiwan’s unification with China — under Chinese terms — was inevitable. Hastening this trend was the sense among many senior U.S. officials that Taiwan was more a roadblock to Washington’s smooth relations with Communist China than an asset in their ideological competition with an authoritarian Beijing. One senior U.S. naval officer even referred to the island as “the turd in the punchbowl,” befouling closer ties with China. When it comes to wooing Taiwan, both scholars note that Chinese policy has failed. Beijing’s contradictory mix of threats, such as deploying hundreds of missiles directly opposite the island on mainland China and jailing Taiwanese human rights campaigners who visit China, and blandishments, such as encouraging Chinese tourism to the island, have only hardened Taiwan’s opposition to unification. A poll last year revealed that three quarters of people in Taiwan think that the island and China are two separate countries, with only 14 percent believing that they are parts of one nation. That’s a significant change from two decades ago when more than half of Taiwan’s population said they considered themselves Chinese. In elections in January 2016, the Democratic Progressive Party, which favors independence from China, won its first-ever majority in Taiwan’s legislature. The party’s candidate, Tsai Ing-wen, won the presidency as well. If China went a step further and blockaded Taiwan, that would constitute an act of war. And when it comes to war both scholars question China’s ability to see it through. First, the risks of failure are extraordinarily high. Roy notes that military measures against Taiwan would hurt China’s economy and its standing in Asia, justifying fears that China was intent on bullying its neighbors. In addition, while China possibly could win the war, Roy thinks it could also lose the peace. China only needs to look at what faced the United States in Afghanistan and Iraq to see what an occupying force might deal with in Taiwan. Sure, there are those who argue that no one in Taiwan is willing to fight. Taiwan’s young have been branded “caomeizu” or the strawberry generation, pretty to look at but easily bruised. But that ignores their political activism. They spearheaded the 2014 Sunflower Movement that opposed closer economic ties with China. In his article, Beckley bores down on the details of a Chinese attack. His conclusion is that neither a blockade, nor an invasion, nor a strategic bombing campaign has much hope for success. Beckley notes that in 200 years of warfare no blockade has coerced a country into surrendering its sovereignty. In the 1940s, Operation Starvation, the U.S. blockade of Japan, cut imports by 97 percent and still it took two atomic weapons to end the war. As for strategic bombing, Beckley reports that none of 14 previous campaigns succeeded in decisively affecting the outcome of a war. As for an invasion, he is similarly pessimistic about China’s chances. By his calculation, China’s ability to put boots on Taiwan’s ground is limited to about 26,000 troops on the first day of battle and 15,000 a day after that, assuming China’s soldiers survive the eight-hour trip across the 100-mile wide Taiwan Strait. That’s a big assumption given that Taiwan has an advanced early warning system, along with coastal artillery, state-of-the-art mines and anti-ship missile batteries. Taiwan also has the capacity to rapidly move its force of 150,000 and only 10 percent of Taiwan’s shoreline is suitable for amphibious landings. Should the United States get involved in defending Taiwan, Beckley cites a study that predicts that 8 U.S. submarines could sink 40 percent of the PLA’s amphibious invasion force while losing perhaps one submarine. Clearly, China’s military modernization is progressing. It is estimated that currently China devotes one-third of its military budget to preparing for a war to take Taiwan. To that end, both Roy and Beckley argue that it is incumbent on the governments of the United States and Taiwan to continue to work together to ensure Taiwan’s security.